When I first heard of this book I got really excited: the famous S. Fischer publishing house would release a new German language book entitled Der populäre Pakt. Verhandlungen der Moderne zwischen Operette und Feuilleton by Ethel Matala de Mazza in its science section. There were quite a few things that made my heart beat faster: the key words ‘modernity’ and ‘operetta’ in the title were a cause for joy. And obviously a release by S. Fischer Verlag, attractively packaged and priced and with a well-known author who’s a professor for German literature at Humboldt University Berlin, would mean that many people (and students) would take note. Yippie! Ethel Matala de Mazza’s “Der populäre Pakt. 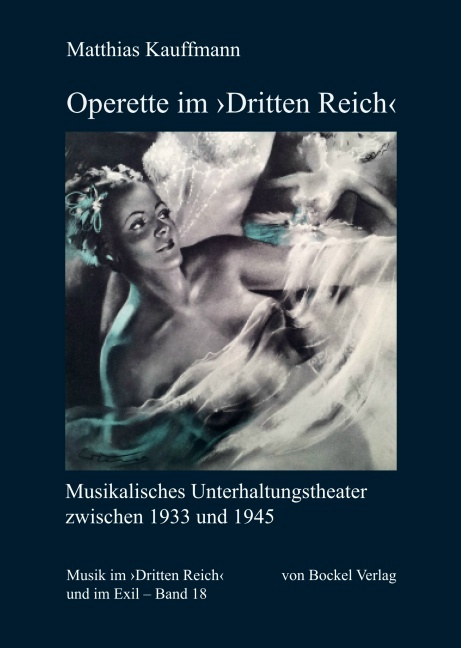 Verhandlungen der Moderne zwischen Operette und Feuilleton” at S. Fischer Verlag, 2018. We learn on the cover that Ethel Matala de Mazza was part of an “excellence cluster” in Konstanz dedicated to “cultural basics of integration” (“Kulturelle Grundlagen von Integration”). She was also guest professor at Chicago, Harvard, Berkeley and Bloomington. In the book itself we read that she was busy with this project for 15 years and subsidized by the Bavarian ministry for the arts, plus various other big money givers. And that there were a few co-workers/colleagues. So there is, I think, reason to expect something grand. And important. 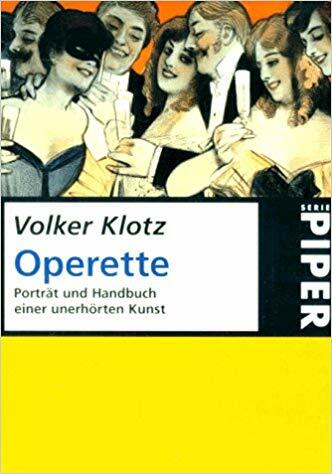 Just as a reminder: the last comparable whopper to come out at a big German publishing house was Volker Klotz’s Operette: Porträt und Handbuch einer unerhörten Kunst. That was back in the early 1990s. It took several generations of operetta researchers to overcome some of the notoriously negative Klotz verdicts (regarding Im weißen Rössl, Paul Abraham and Broadway musicals), but the book remains a classic and is worth reading again and again. The brilliant language and analysis of individual shows guarantee that. No one before or since has described Offenbach quite like Mr. Klotz, and his unique style has left a mark on many who have written about operetta since. The paperback edition of Volker Klotz’s 1991 (Operette: Porträt und Handbuch einer unerhörten Kunst,” at Piper. I had heard Ethel Matala de Mazza back in 2015 at a conference at Komische Oper Berlin where she spoke about “The Diva. Operetta Fates of an Artificial Figure” (“Die Diva. Operettenschicksale einer Kunstfigur”). Her talk later became part of the essay collection Kunst der Oberfläche: Operette zwischen Bravour und Banalität. I thought, back then, how great it was to have a Humboldt University professor at such a conference. And I hoped that more would happen in that direction at Berlin’s famous university and that more would come from there in the future. 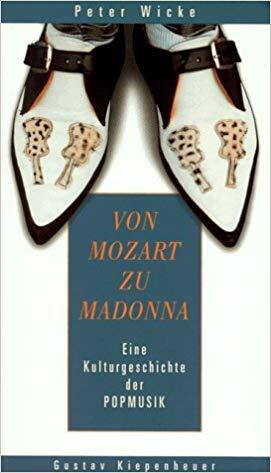 After all, Peter Wicke was professor there for popular music research; he’s the author of Von Mozart zu Madonna. Eine Kulturgeschichte der Popmusik. It’s a book I devoured. Peter Wicke’s “Von Mozart bis Madonna” at Kiepenheuer, 1998. So, okay, we’ve reached the future and here is what you get: 313 pages of analysis, 104 pages of footnotes, and 22 pages of bibliography. That’s impressive. Which the actual writing is not, sad to say, because there doesn’t seem to be a single original thought anywhere in these 313 pages. Which took me by surprise. 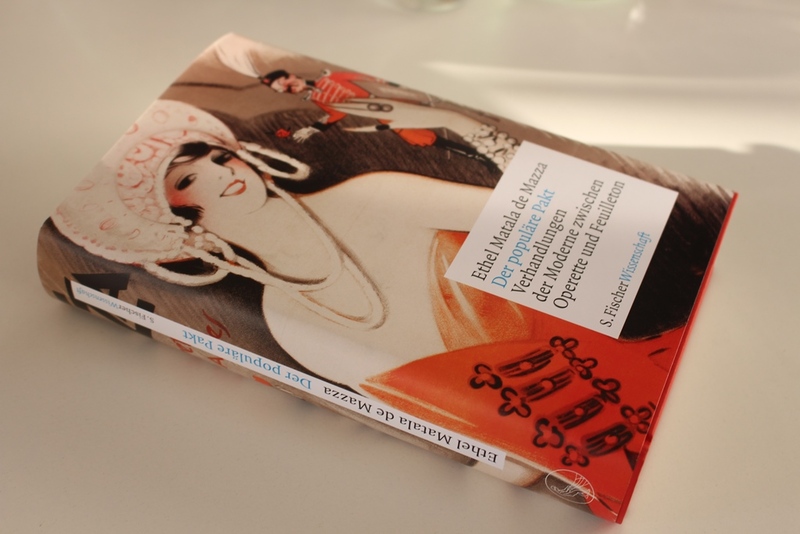 The following chapters in the Matala de Mazza book try to compare the development of operetta from the times of Offenbach to the early 1930s and that of the feuilleton as well. There’s a lot of Krakauer and Kraus, which is always amusing, but not exactly novel. And the selection of operetta titles which are given a more in-depth treatment is surprising: we get La Vie parisienne and a lot about traffic in Paris, trains from all over Europe and tourism, then there’s Lehár and the Witwe. Onto Friederike and the 1920s we go. And then… finished! 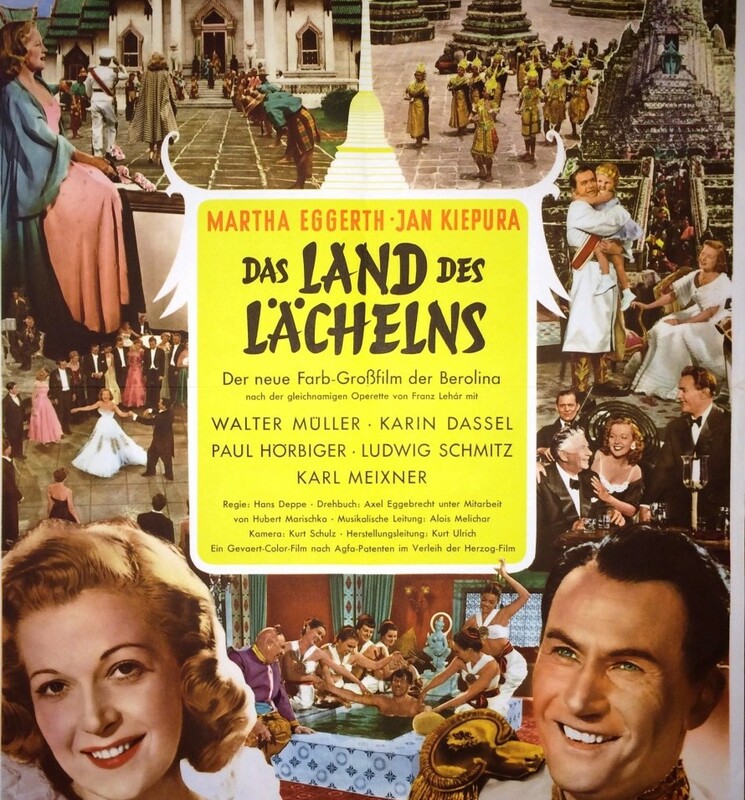 The 1952 film version of “Land des Lächelns” with Marta Eggerth and Jan Kiepura. 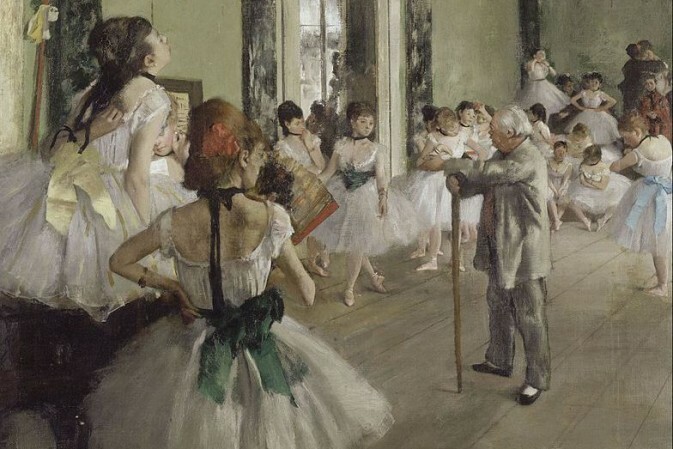 Along the way, there is no particular discussion of ‘new’ aspects dealt with by researchers elsewhere: the question of gender is no big deal, cross-dressing isn’t either (not in Offenbach, and not in other works that don’t feature at all: Suppé etc. 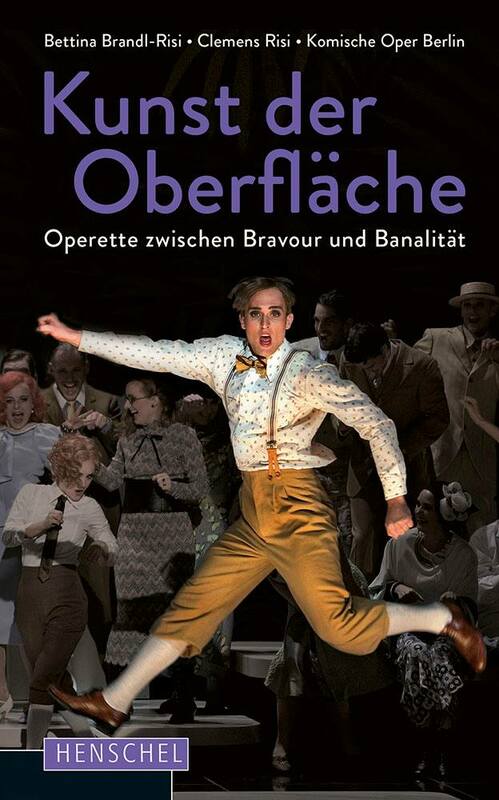 ), not even when Lehar’s Zarewitsch is being looked at more closely is there a hint at ‘queerness’ and homoeroticism. It’s actually not mentioned. 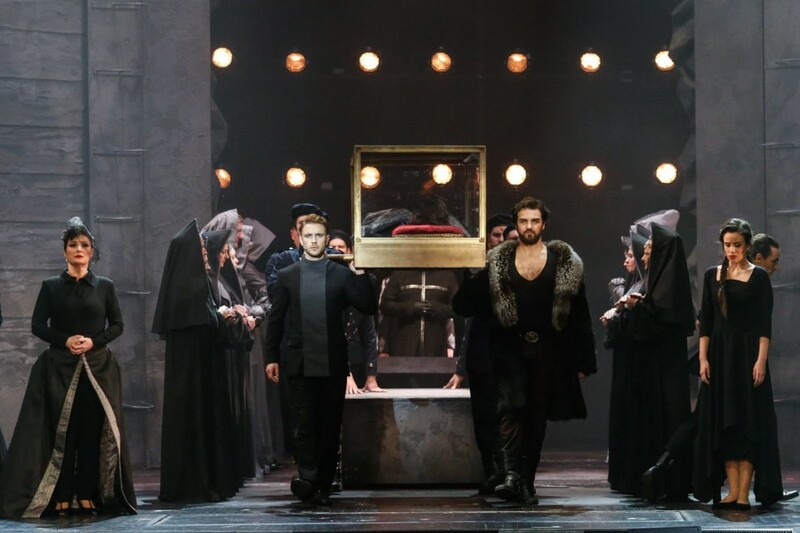 The representation of People of Color in operetta isn’t dealt with either, which surprised me since Matala de Mazza worked with a program for ‘integration,’ and the recent racism debate regarding Land des Lächelns has shown that there is a lot to ask and search for answers for. And let’s not forget post-colonialism: what do many of these shows have to say about the European attitude to other peoples and cultures? 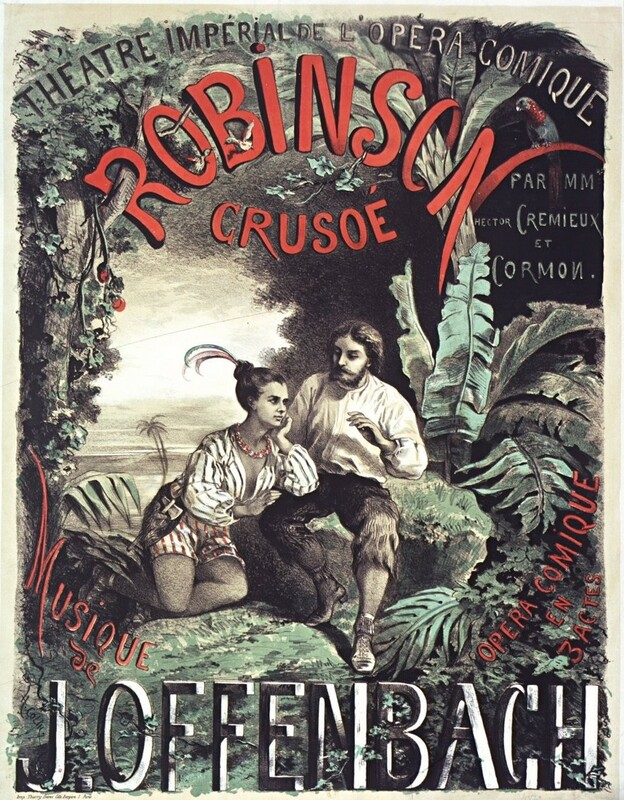 Poster for the 1867 production of Offenbach’s “Robinson Crusoe” at the Opéra-Comique in Paris. I felt confused. Also, I wondered why this book wants to focus on feuilleton, but doesn’t delve into the many available reviews of operettas that are not by Karl Kraus and his famous colleagues. In the end, even if you wish to look at things this way, would it not be useful to have a clear opinion of your own? As much as I disagree with Richard Traubner and Volker Klotz and their general statements on operetta, they make important points and package them accordingly. They mark the terrain and invite others to think further for themselves. I apologize if the above came out harshly. If this were just some book at some publisher somewhere in the world I’d say: never mind, move on. But this should have been a landmark. It’s also a book that will land on the desks of many reviewers at important newspapers. It’ll be visible in many German bookshops. It could have stirred a discussion or brought the many new discussions in circulation to a wider audience. But it doesn’t. I’ll leave it at that. And just say: I love the cover and the title!